Fancy gimmicks may be working to sell some luxury apartments — but they’re not for everyone. According to Mansion Global’s 2019 Year Ahead report, more high-end condo buyers are forgoing flashy amenities like car-carrying elevators in favor of ones that promote serenity. 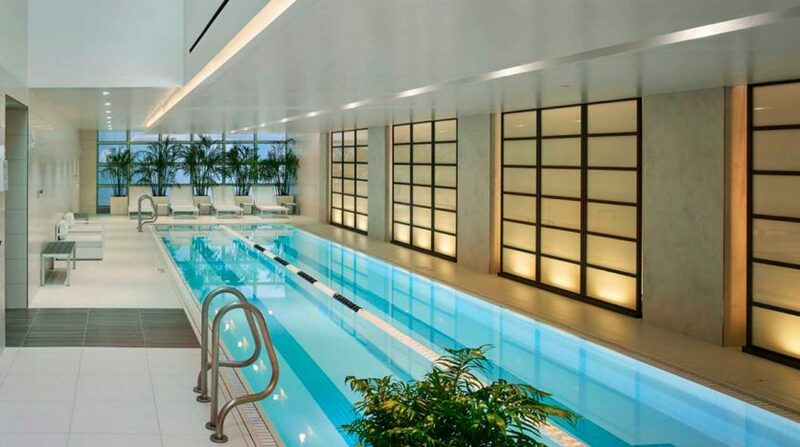 “‘Well-being’ is the mantra in amenities right now,” the report states. Consider The Laurel Rittenhouse, which has a yoga and Peloton® studio with heated pool, sauna & steam rooms, or 500 Walnut, which boasts a full spa and 4,000 sq/ft foot outdoor retreat with lush, whimsical gardens. The trend is part of a movement toward inconspicuous consumption. Discreet wealth has become the new status symbol as elite consumers eschew symbols of materialism like logo handbags in lieu of intangible investments, with a focus on health and wellness in particular. However, the rise in mindfulness doesn’t mean that luxury real-estate developers are ignoring other amenities, like private HD theaters and rooftop drone landing pads, according to the report. Some flashy amenities still remain. Original article by Hillary Hoffower for Business Insider.